Make sure your customers never lose sight of your brand! 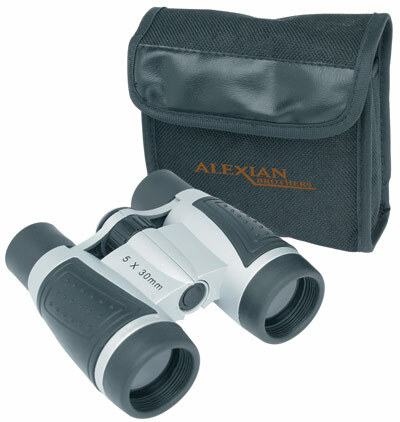 This pair of binoculars is designed with 5 x 30 magnification, center focus, and rubber grips. Features a neck strap for convenient access during hiking, hunting, and camping. Binoculars are 4 1/2"W x 4 1/2"H x 1 1/2"L and comes with a 4 1/8" x 4 1/4" x 1 7/8" carrying case that includes a belt strap, lens cleaner, and professional quality optics. Both binoculars and carrying case can be customized with your company name and logo.